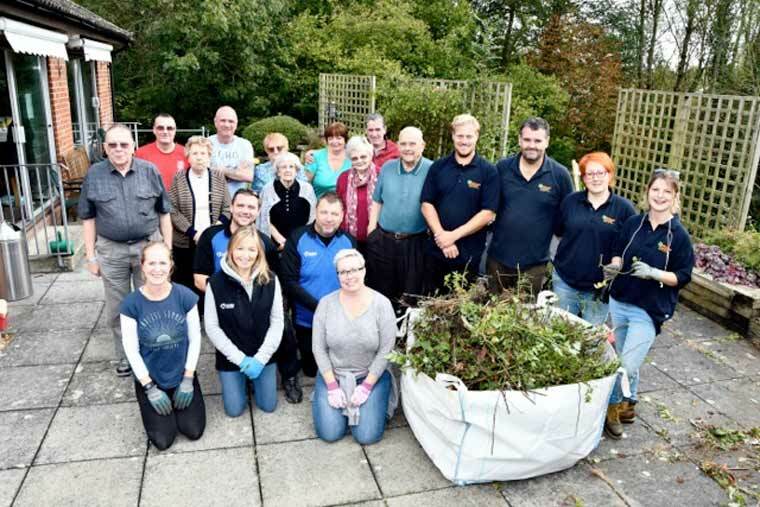 The garden at an over 55’s housing scheme in Fordingbridge has taken on a new lease of life thanks to its residents and housing association. Residents of Pembridge House in Fordingbridge, a supported housing scheme run by Sovereign, approached their landlord with plans to start a gardening club to manage their communal garden. The tiered garden was tidy, with some established shrubs, but residents wanted to make it their own with a herb garden and growing their own choice of plants. They already have an active social calendar which includes coffee mornings and Sovereign were keen to get involved and lend their support. After chatting through their ideas with operatives from Sovereign Response and grounds maintenance contractors, Ground Control, it was all hands on deck and overgrown bushes were pruned, pathways cleared and the grass given its winter cut. Amanda Devine-Bowden, Sovereign’s maintenance manager who organised the work said, “The communal garden is there for all residents to enjoy and we thought it would be nice if we could get more involved to create an area which residents could look after themselves.